Living in a broken world guarantees that everyone will spend their share of time in the desert, whether it be through illness, addiction, age, loss, loneliness, depression – life offers a smorgasbord of reasons. Not only that, it’s rarely a one-time event. Circumstances can thrust us into a desert experience at any moment—over that we have no control. How we choose to experience it, however, is up to us. When you think of a desert, images of a desolate wasteland emerge where survival is seemingly impossible. However, the desert can be fertile territory, rich in nutrients that allow the soul to thrive. I believe desert time is an essential element of personal and spiritual growth. It’s not necessarily the length of time you spend there, it’s what you learn while you’re in it that’s important. I doubt you’d be able to find any great spiritual leader (or individual) who hasn’t spent a significant amount of time in arid surroundings. Mother Theresa claims to have spent a majority of her life there. Even Jesus spent time there – more for our benefit than His own I’m sure. He left us an example on how to travel through it – by relying on His Father, of course, as Moses faithfully did. Do I have any advice for those of you in the middle of a desert experience? Let your childlike instincts override your intellect. Let me explain. In the book, I’m Here if You Need Me, a forest ranger describes what children do when they realize they are lost in the woods. Instinctively, they find a safe, comfortable spot, usually under a bush or similar kind of camouflage, curl up, go to sleep and wait for their parents to find them. In their innocence, they possess the confidence that if they just remain still, they will be found. Could the spiritual truth in this observation be more glaring? 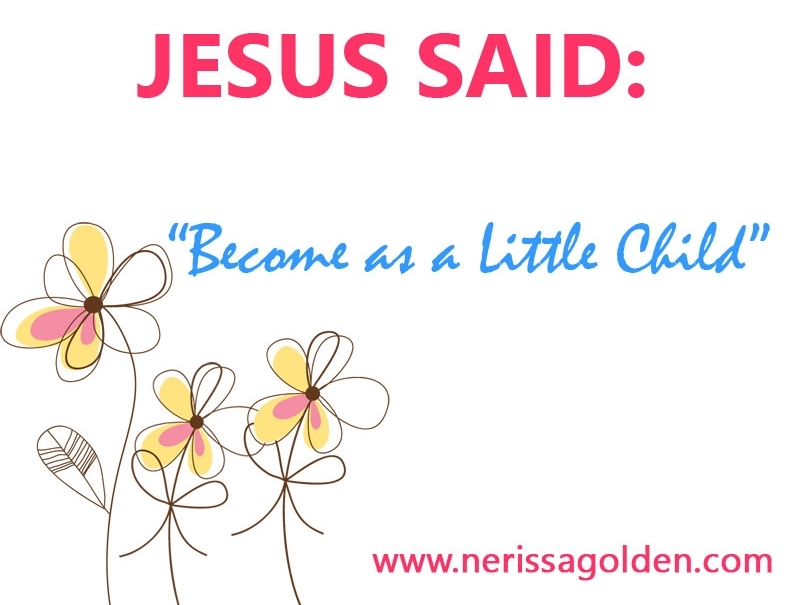 “Be still and know that I am God.” Psalm 46:10 Perhaps that’s why Christ calls us to be more childlike in our faith. We need to trust that He knows exactly where we are and what we need. Surrender, humility and trust are the manna from Heaven we all ultimately receive through our desert experiences – or not. How are you going to choose to arrive in the Promised Land? Kicking and screaming over the unfairness of life, kvetching about your difficulties in the desert, or will you arrive serenely, eagerly anticipating meeting your Divine Navigator who’s been guiding you home? 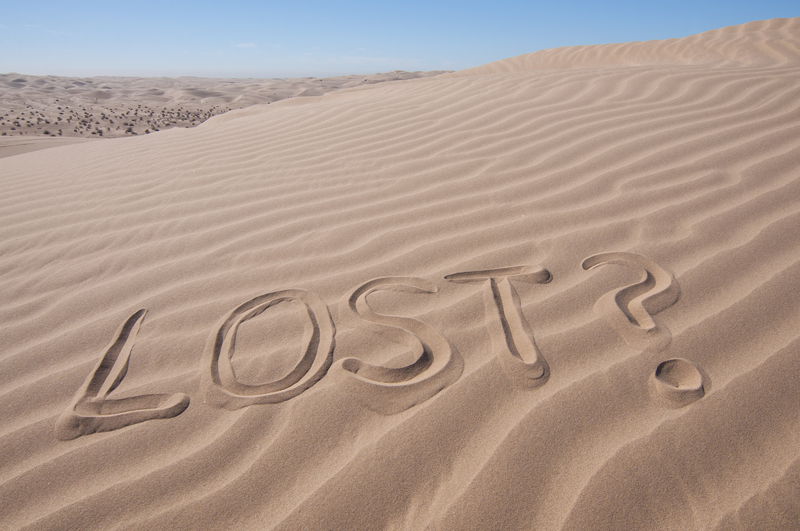 Even more importantly, will you instead decide to go your own direction, lost in an eternal desert like an entire generation of Moses’ followers? Your answer will be the most important decision you’ll ever make. Choose wisely!